Gute Nachrich­ten aus Kanada: The Weakerthans nehmen an den Olympi­schen Spielen in Vancou­ver teil und werden Olympia­sie­ger im mehrstim­mi­gen Chorge­sang. 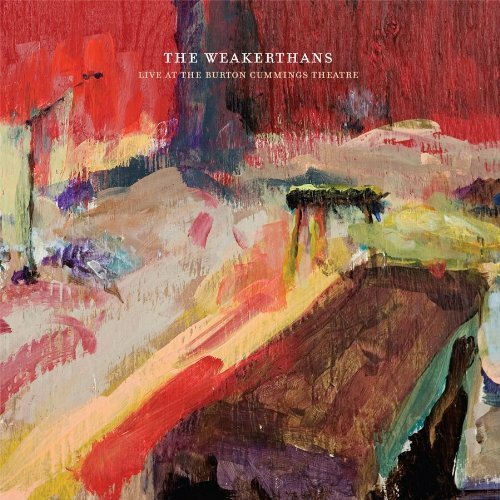 The Weakerthans kündi­gen für Ende März ihr erstes Live‐Album an. The Weakerthans new DVD/CD/LP „Live at the Burton Cummings Theatre“, set for release on March 23, offers a jubilant testa­ment to the Winni­peg band’s consi­dera­ble creative powers as both literary minded songwri­ters and charis­ma­tic live perfor­mers. The live DVD was recor­ded in April of 2009 as the band toured in support of their album „Reunion Tour“ with an expan­ded line‐up featuring trumpet, violin and female vocals, playing songs from all four acclai­med releases in front of an adoring and ethusi­astic hometown crowd. Even the DVD/CD/LP’s artwork is a painitng by bassist Greg Smith, one of several pieces inspi­red while on the April tour. From the songs to the live perfor­mance to the visual presen­ta­tion, all in all, the DVD/CD/LP captures moments in time. A musical experi­ence shared by a band and their fans. Avail­able every­where March 23, 2010. Nun heißt es, in gespann­ter Vorfreude auszu­har­ren und die Zeit mit Livemu­sik aus der Konserve zu überbrü­cken. Kniet nieder oh ihr Ungläubigen.….…..sofort!